Harold Linh Cole was born on June 12, 1957 in Saigon, Vietnam. He received a BA degree in economics from Bates College, Maine in 1979. Between 1979 and 1981, he worked in the Research Department of the Federal Reserve Bank of New York. He joined the University of Rochester's PhD program in economics in 1981, and completed his thesis "Financial Structure and Information" under the supervision of Professor Alan Stockman. 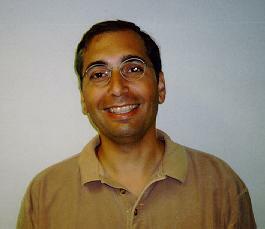 After receiving his PhD, he joined the University of Pennsylvania as an assistant professor. "Financial Structure and International Trade", International Economic Review, May 1988. This paper examines how changes in the structure of financial markets can affect the behavior of the real variables in a general equilibrium model of international trade. As financial markets become more complete (or allow a richer array of assets), the variability of consumption decreases, the covariance between domestic and foreign consumption and the variability of output increases. Therefore, the paper shows that changes in the variance-covariance structure of national consumption and output series can provide a measure of the completeness of international financial markets. The paper also shows that incomplete financial markets should lead agents to diversify their portfolios, and emphasizes the apparent lack of international diversification. "Social Norms, Savings Behavior, and Growth", Journal of Political Economy, December 1992, (with George J. Mailath and Andrew Postlewaite). This paper analyzes environments in which there is a continuum of individuals who form finite-sized associations, clubs, to undertake joint activities. The paper shows that through a suitable choice of commodity space, a large class of club and matching environments can fit into the Arrow-Debrue-McKenzie framework. The paper also establishes that when there are finite number of club types, the classical results from the competitive analysis of convex finite-agent economies can be reinterpreted to apply.Many goods and decisions are not allocated or made through the markets. This paper analyzes how the ways by which a society makes nonmarket decisions can affect the market behavior of agents. The paper shows how the way a society matches males and females together can affect the growth path for a particular society. The paper argues that if the success of people in attracting mates is determined by their relative wealth in a society, then there exists an extra incentive to accumulate wealth in order to obtain better matches. Hence, the ways societies determine the allocation of mates can affect their growth paths. "Valuation Equilibrium with Clubs", Journal of Economic Theory, May 1997, (with Edward C. Prescott). Besides being an economist, Harold L. Cole likes surfing, winter camping (he claims to be into this, although it is not certain he has ever done it), hockey, and roller-blading. He is also known to be an expert on Spanish wines. Harold L. Cole is currently an Economist at the Federal Reserve Bank of Minneapolis.